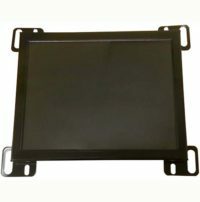 LCD Upgrade Kit for 14-inch monochrome CRT in Anilam 1100M, with full cable kit for complete conversion. 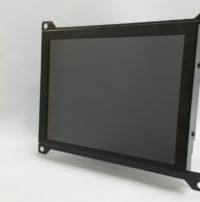 Replace your Anilam Omnivision 1400M CRT display with a brand new state of the art LCD screen for less than the OEM part. 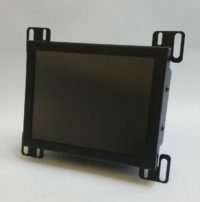 The Anilam 1400M LCD replacement kit has bee specially designed to fit right in place of the old CRT. This means all you have to do is loosen 4 bolts to take out the original CRT and mount your new LCD in the same frame. Our exclusive plug and play cable kit saves you money and time. To purchase the Anilam 1400M, please click ADD TO CART. 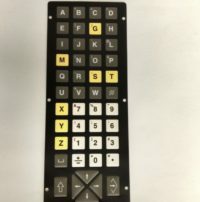 Monitech Anilam 3000M keypad also fits 1100, 1100M,3000C, 3300 controllers! 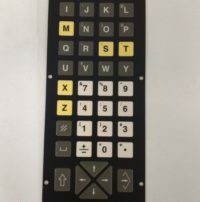 Monitech replacement for the Anilam 4200T Keypad is made of very high quality material, and it performs much better than the OEM replacement. As well, the cost of this unit is lower than the OEM. Includes warranty. 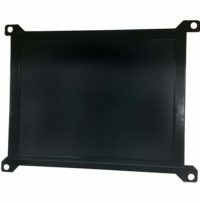 Please see our other Anilam replacement parts. 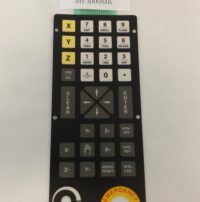 Monitech replacement for the Anilam 6000M Keypad is made of very high quality material, and it performs better and costs less than the OEM replacement. The plug and play cable conveniently makes installation a quick snap! Includes Warranty.